Attention Hikers--Nepal STILL Needs Us! I wrote this article (link below) in 2003 after returning from my first—yet far from my last—glorious trekking adventure in Nepal. It was a watershed experience, a life-changing journey. I made lasting friendships, planted the seeds for Raven Rocks Resources, and returned from the Himalaya with new confidence about my physical abilities and mental stamina. 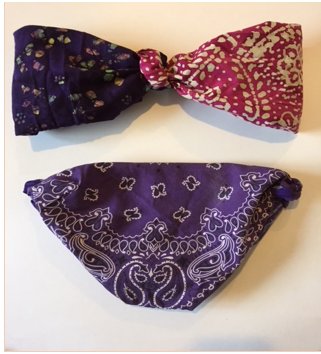 Travel Tips: Don’t Forget Bandanas! In December 1971, at the height of the Cold War, a first-class ticket on the Soviet Union’s Trans-Siberian Railway from Nakhodka to Moscow cost $150. Actually, I paid that equivalent in Japanese yen since the only travel agency I could find that would arrange a customized trip to the Soviet Union was located in Tokyo. The Tokyo agent served as a broker, coordinating with Intourist, a Soviet state-run agency founded in 1929. Intourist closely controlled highly restricted foreign tourism in the country, meaning that I was watched every minute from the time I crossed the border until I flew out of Moscow's Sheremetyevo International Airport a month later more than ready to leave. Six months before, I'd been delighted to learn I could reach Europe, where I hoped to find a job, by traveling through the Soviet Union. Pre-Internet, it took a few months to find an travel agent go-between in Tokyo. No rush, I thought. 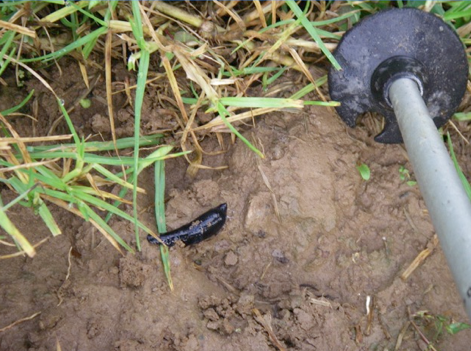 I was fortunate to snag a couple of well-paid jobs on archaeological digs (tent and grub included! ), after having finished a master’s degree in anthropology. I was grateful for some time to ponder what unfamiliar place I would strike off to in hopes of using my new degree. But I'm getting ahead of myself. Arriving in Tokyo en route to Nakhodka after the longest flight I’d taken to date was a little scary. It was very late at night, I had no hostel reservations, and knew only a few words of Japanese. I was traveling solo, when few women did so. I carefully copied Japanese script for “ryokan” (traditional inns) from my guide book to my palm, so I could discretely identify neon inn signs by glancing at my hand rather than looking like a helpless tourist paging through Frommer’s. I looked for students entering and leaving, another clue the cost would fit my budget. The smaller the sign the cheaper the room. Fortunately, there were lots of hostels and inns, and I easily found a place to stay. I spent the better part of a week in Tokyo, either at the travel agency office, or soaking in a wonderful Japanese style bath. I slept on a thin futon mat in a small space divided by paper-thin sliding doors. Utterly charming! I loved it. The travel agency tediously prepared my itinerary, arranged for my boat trip from Yokohama to Nakhodka, secured Trans-Siberian railway tickets and my Soviet visa. My agent, a shy young Japanese man, whose curiosity finally got the best of him simply could not understand why a 26 year old woman would want to spend four weeks in the dead of winter crossing Siberia to Moscow, not to mention stopping in Irkutsk when the famed Lake Baikal would be frozen solid. Winter ticket discounts, I said, were appealing to budget travelers. I also explained that I wanted to scour museums and libraries for archaeological or ethnographic resources and meet university students and archaeology faculty, more likely when courses were in session than during warmer summer months. My hopes to meet with Soviet archaeologists in Vladivostok with whom I had corresponded were dashed when Intourist made it clear I was not allowed to go there. Irkutsk’s resources would have to do. Arriving there, it quickly became apparent the the travel agent knew more than I. Venturing out from the Irkutsk University hostel each day, the brutal cold—minus 45 farenheit—soon drove me back to my room, offering scant time for professional networking! Leaving Irkutsk after several days and meeting no archaeologists, I settled back into a so-called “first class car” on the Trans-Siberian for the last long leg to Moscow. Those six days were the toughest of the trip. My sleeping car had four bunks, three of which were occupied by rotund, drunk Soviet military brass. Had they not been snockered beyond oblivion, I might have feared for my safety. As it turned out, my fear quickly turned to aggravation and disgust from the nightly ritual of vodka-soaked singing and toasting, occasionally followed by one or another rotund, red-faced hurler who couldn’t quite reach the toilet in time. Days were less festive, quieter. Thank you, lord. I mostly hung out in the lounge drinking tea made in a coal-heated samovar by our car's stern, decidedly humorless matron. Everything smelled like burning coal. The matron—egg-shaped in her thick black wool coat, wore felt boots and a dog-eared fur ushanka ear-flap. She occasionally flashed forced smiles of gold teeth. When the train crawled to a stop two or three times a day, “volunteer” passengers were herded off the train and put to work chopping away caked ice on the wheels. I didn’t need to understand Russian to grasp the reality that the train would not move forward without de-icing. I gladly did my part. The already meager meals became unimaginably more meager. All the food ran out save fish heads in a urine-colored gelatin blob long before we reached Moscow. My turn to hurl. There were bright spots. I discovered another foreign tourist on board—a tall, friendly guy from Montana. I called him Montana; he called me California. We bonded through hunger. Together we plotted to watch for a station stop with a food kiosk close enough to reach quickly from our train. We reasoned we could buy whatever was edible, scamper back to our car and re-board before the train pulled out. Our chance finally came, though the kiosk sprint looked daunting. Despite intense cold and a dozen icy tracks between us and food, we bolted out as the train lurched to a stop, ahead of the matron and her team of ice ax-wielding indentured passengers. Disappointment followed. The kiosk vendor's supply chain clearly did not include Zabar’s. But neither Montana nor I hesitated to buy several of the stale, crumbly piroshkis left on her cart. And then, a moment later, the train ground to a halt. It stayed put for nearly 30 minutes. Despite the unthinkable horror of getting stranded in Siberia, not getting stranded was a bit disappointing. A great yarn demoted. Sustained by the piroshkis and the sudden appearance of eggs picked up en route, our Trans-Siberian ride continued without additional surprises or incidents. Nonetheless, I welcomed Moscow after the long, cold journey from Nakhodka and Irkutsk. The student hostel was heated and meals at the university’s cafeteria were cheap and filling. I managed to see the Bolshoi Ballet and attend the Opera (La Traviata), despite my lack of evening wear. I packed nothing beyond blue jeans (coveted by my "commie" acquaintances and, ironically, becoming wildly fashionable in the 1980’s). After a month in the Soviet Union, riding the Trans-Siberian, elbowing my way onto Moscow subways, pushing through crowds at the post office, and dining alone in faux fancy Intourist hotels became lonely and wearisome. I cut short my stay, canceled a trip extension to Leningrad (on reflection, a regrettable decision), counted up my dwindling Traveler’s Checks, and treated myself to a flight to West Berlin. There began another chapter of my life on the road, this time more career productive, finding a wonderful job teaching anthropology and archaeology all over Europe. I also made a terrific group of friends, with whom I remain close to this day. As for satisfying my thirst for adventure, the “gypsy scholar” teaching gig led to six delightful years living and working in Germany, Italy, Spain, Greece and Turkey. But that’s a Travel Tale for another time. Bahini means younger sister in Nepali. It’s used as an affectionate nickname. Jenny, professionally known as Dr. Janita Gurung, is my bahini. She is the sister of my dear friend, Jwalant, and daughter of Anita and Dinesh Gurung, originally from Sikkim but now residents of Kathmandu for decades. Dinesh founded Crystal Mountain Treks (http://www.crystalmountaintreks.com) in 1990 having been a Gurkha soldier and later working closely with Colonel Jimmy Roberts, a Brit and outdoor adventure visionary, credited with introducing the term and activity called “trekking.” Jenny and her younger brother, Jwalant, grew up trekking Himalaya trails, traipsing behind Dinesh through villages full of marigolds, rhododendron forests, and shaky, improvised suspension bridges. Years later Jenny worked for the World Wildlife Fund (WWF Nepal), spending lots of time directing conservation and community development programs in Nepal’s far eastern Kangenjunga region, location of the world’s third-highest peak. Kangenjunga in many ways is Jenny’s second home. Her deep love for the villagers, commitment to Kangenjunga’s nature conservation, biodiversity, and wise development of its habitat and cultural treasures, convinced me to add this trek, led by Jenny, to my bucket list. In 2010, I was able to scratch Kanchenjunga, a 28-day trek, off my list. The article below was written shortly after my return. (All photos by C. Weatherford unless otherwise credited). Late afternoon approach to Kangbachen village. A waning full moon rises in sky, upper left. As we turned the corner on the high narrow trail, the village of Kangbachen came into view below us. It was twilight and a waning full moon rose over Jannu Himal’s monumental summit. Day hike from our Kangbachen camp with guide Lal Bahadur upward to Jannu Himal. Photo by Janita Gurung. Jenny and Kangbachen villager gather Seabuckthorn berries to make nutritious juice. we took a day hike up the hillside for a closer look at Jannu Himal and picked Seabuckthorn berries later pulverized into tangy juice. Getting to Kangbachen was a major victory. We had left Kathmandu more than two weeks before. Every day since then was filled with unique experiences unlike those from half a dozen previous Himalaya treks I’d undertaken. New landscapes, ethnic groups, and wildlife. Endurance was key on this 28 plus-day trek. Kangbachen is a long day of trekking from the village of Ghunsa in the Kanchenjunga Conservation Area had been strenuous but deeply gratifying. The climb from Ghunsa is gradual, amidst lush, diverse forests, with stunning views of the Ghunsa Khola’s rapids thundering though the valley below. As we walked through abundant rhododendron, oak, birch, fir and maple forests, Jenny Gurung, an environmental mountain scientist and my “faculty” guide for this adventure-culture-education trek, identified plants and explained each’s medicinal or economic relevance to the long-time residents of Nepal's remote northeast corner. Khadak, also an environmental scientist, peered down the steep cliff, examining the tumultuous flow of the Ghunsa Khosa for its hydroelectricity-generating potential. An adventure travel consultant eager to expand my wildlife knowledge, I craned my neck looking for unique birds in what Jenny and I agreed was an “enchanted forest.” Flocks of Himalayan Swifts darted frantically in the blue sky above. A Lost Horizon, Nepali style! Then came the landslide. Stopped in our tracks, our laughter and conversation suddenly ceased. Always keen to take calculated risks—part of adventure travel, afterall—we assessed the danger and slowly moved forward. After an hour of gingerly stepping (and sliding) across the massive slope littered with tottering boulders, fallen trees and other debris, we turned the corner to see Ghunsa, a virtual metropolis in the wilderness, promising Internet and sat phone connections to family and friends. Our minds lingered on landscapes of arresting beauty, filling our minds with the wonderment of new images and sounds, all grist for dinner chatter that evening. Our aching muscles would ensure a deep, satisfying sleep. Another glorious day of trekking in Kanchenjunga! Trail across landslide, near Kangbachen village. Jenny says it best: Kanchenjunga is beyond adventure. Each day brings unexpected geographic encounters as well as cultural treasures. We experienced first-hand the impressive success of a community-operated child care center in the village of Hellok, handsomely built and painted Limbu homesteads, modest thatched dwellings on narrow, carefully cultivated hillside terraces, handcrafted, rickety bamboo bridges enabling traffic to cross the many streams and rivers, and nearly vertical log-paved paths up cliff faces. Jenny crossing bridge with the ease of a Kanchenjunga trekking pro that she is. River trails are “ankle-biters”—slippery, rugged, often overflowing from monsoon rains. Bridge destroyed by flooding and landslide. It’s not uncommon to find oneself on a trail along a river or in a rice field that simply disappears. Taking detours up the mountainside to avoid flooded river trails can be tricky. No surprise, when Jenny and I detoured, we got very lost. But getting lost is part of the fun, and finding your way back to the main route invites cheerful encounters with locals, who offer milk tea and happily permit photo opportunities. Such wanderings expand and enrich an otherwise routine 6- to 7-hour day to a highly memorable 12-hour feat. Khadak and the porters took the river trail, but they too slogged for 12 hours to reach our modest lodge in Mitlung. Rejoining Khadak well after dark at a modest lodge, our duffels miraculously arrived by bedtime, thanks to our porters’ monumental efforts to carry them along rocky, overflowing river banks, the only alternative to the detour Jenny and I took. Taking a detour Jenny and I lost our way. We were rescued by a friendly family who served us chai before directing back to a familiar trail. During a simple dinner of ramen soup, we talked about what to expect in the upcoming days. This led to a poignant moment for Jenny when she recalled a tragic helicopter crash that occurred near Ghunsa in 2006, killing 24 people including four of Jenny’s Nepali World Wildlife Fund colleagues. We would pass the monument and crash site. Jenny was a WWF Nepal Kanchenjunga Area Director at the time. I relived my gratitude in 2006 upon hearing from the Gurungs that Jenny had not been on that fateful flight. A good night’s rest energized our spirits and put spring back in our steps. Onward! Kanchenjunga’s magic prevailed. Its remote, pristine beauty and cultural uniqueness—ethnic groups include Rai, Limbu, Tamang, Jirel, Thakali, Magar, Gurung and Sherpa—have yet to be fully tapped as tourist destinations. While Nepal’s trekking hot spots in the Annapurna and Khumba regions draw tens of thousands of tourists and trekkers during the peak season in October and November, Kanchenjunga sees less than 500 foreign visitors annually. Just getting to the Kanchenjunga Conservation Area Project can require days of walking. Our camping itinerary started near Basantapur, arriving after a flight from Kathmandu to Biratnagar and then a 5-hour drive to our trekking trail head. We marveled at the spectacular view of the Everest and Makalu, hard to recognize from the northeastern perspective, en route to Gupha Pokhari. Deep ruts and muddy roads foretold a lingering monsoon season. On the morning we were scheduled to leave Gupha Pokhari village, the sky opened with vengeance and we were forced to temporarily suspend our trek, move out of flooded tents and into tea lodges for the better part of a week. Heavy monsoon rains leave roads and trails scarred with ruts. Monsoon conditions continued well into October, flooding our camp and marooning us in Gupha Pokhari for several days. When finally the sun reappeared and rain-soaked trails once again became passable, our trek resumed. The first stretch was a long descent on a deliciously treacherous trail, dominated by slick roots (only adventurous trekkers can appreciate such a challenge!). Jenny and I slipped and fell a total of eight times going down the slope. Wet weather followed by bright sun suited the region’s insects, arachnids, and predatory leeches. Even buttoned up clothing and close monitoring won’t keep these pesky bloodsuckers from finding their way into boots, under cuffs, and inside trousers lowered for potty breaks. The spider webs were enormous glistening creations, attached midway up the rhododendrons stretching across trails within a trekker’s reach. The spindly oversized creatures frequently seen on the webs kept us alert and inspired way more photos than could ever be shared. Chubby leech after “lunching” on my arm. Some of the four-inch spiders were missing legs. In the coming days, we camped at a lovely “resort” property near Dobhan, a bustling commercial center. Reaching Dobhan finally put us on the Kanchenjunga trekking map. From there we basically followed the Tamor and Ghunsa rivers north to Ghunsa, Kangbachen and ultimately to base camp at Pang Pema—the goal of our strongest team members. Although we hoped to include the Walangchung Gola extension to our trek, days lost from the monsoons made this impossible. Our 28-day itinerary forced us to head to Taplejung after a few delightful days in Kangbachen. We left open our mode of transportation from Taplejung back to the Biratnagar airport, a minimum 17-hour drive. We briefly considered flying from Taplejung/Suketar airfield (airport would be a generous term), however, flights are notoriously unreliable and at best arrive and depart once or twice a week. Canceled flights are common—especially discouraging since getting to the landing strip is a two-hour ascent by foot, with duffels and packs. After a day hanging around Taplejung trying to hire a 4WD and driver, we opted for a very crowded bus leaving the next morning. The bus wound its way down largely unpaved, bumpy mountain roads to Ilam. Ilam is a veritable metropolis with hot showers and internet (sort of)! My eastern Nepal cultural experience was far from over. I watched with admiration and wonder as Jenny negotiated with drivers of private, for-hire car services. The first unexpectedly decided he couldn’t finish the trip as agreed after all. Never missing a beat, Jenny found us another to complete the trip. It’s still unclear to me how much the unplanned shifts were due to car trouble or personal issues. In any event, we arrived in Biratnagar and the airport with plenty of time to have lunch before boarding a sleek modern jet for perhaps the smoothest, most serene, truly wondrous flight of all my travels. The dusky view of the Himalaya south-facing flanks lasted for only forty minutes—it seemed eternal and vividly persists in my mind's eye to this day. Exquisite, unforgettable view out the airplane window of the Himalaya flight from Biratnagar to Kathmandu, Nepal. Bremer-Kamp, Cherie. (1987). Living on the Edge: Winter Ascent of Kanchenjunga. Layton, Utah: Gibbs M. Smith, Inc. Crystal Mountain Treks. History – http://www.crystalmountaintreks.com/history. History of Trekking – HikeNepal.com – http://www.hikenepal.com/trekking/history.php. Kanchenjunga Trek Information – http://kanchenjungatrek.org. Thapa, Manjushree. (2009). The Boy from Siklis: The Life and Times of Chandra Gurung. New Dehli, India: Penguin Books.